Some retailers have their own policies and restrictions. Before shopping, please ensure you review the Special Terms of Freedom (above) for further information. Complete your purchase in one session and without leaving Freedom. Do not click on any bookmarks or advertising banners or links once you leave ANZ Bonus Points Mall. We use a number of delivery partners across Australia to ensure we offer you the best delivery price and the most secure delivery service. If you purchase both furniture and homewares you may receive multiple deliveries as these are managed by separate delivery partners. Furniture items are delivered by our home delivery partner, Monday to Saturday, 6.00am - 6.00pm. Our home delivery service prices start at $99 for metropolitan areas. Saturday delivery service prices start at $119 for metropolitan areas. For homewares, 'In stock' products will be despatched within 2 business days and you will receive them within 7-8 days for metropolitan areas, or 10-12 business days for regional areas. We accept Visa, MasterCard, American Express, DinersClub and PayPal. Homewares items can be exchanged in store within 7 days of delivery. To exchange or return a homewares product please visit your nearest freedom store where you’ll be able to request an exchange for your item (subject to availability) or request a refund. 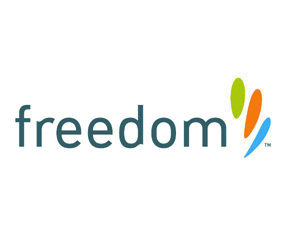 Alternatively, you can email us at customerservice@freedom.com.au for help returning your item by mail. Furniture items cannot be returned or exchanged, except at freedom’s absolute discretion.